Pokémon Go is getting an update today that brings daily bonuses to the Google Maps-powered monster-capturing game. It is rolling out to players right now, according to developer Niantic. 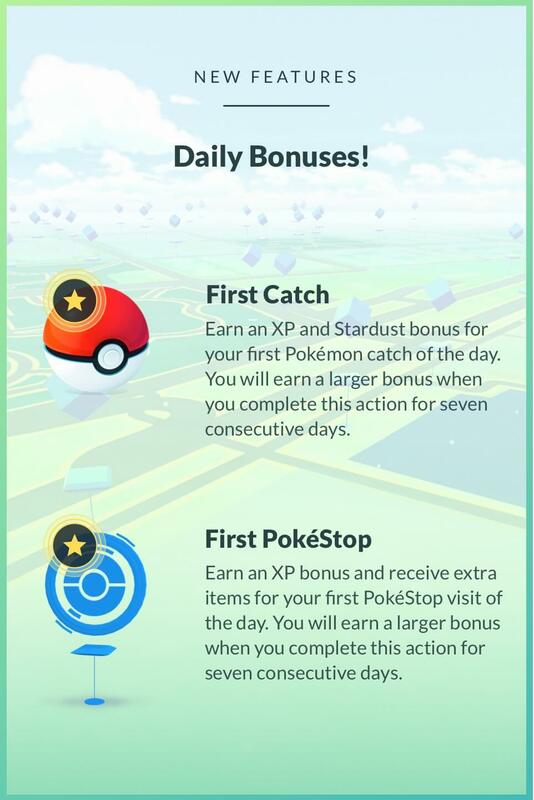 With these daily bonuses, you can get extra experience and in-game items for completing tasks like making your first catch of the day or visiting your first PokéStop. This feature will also encourage players to return each day, which should help the megalucrative game maintain its place near the top of the grossing chart.